A couple walks down the steps in the Montmartre district of Paris. 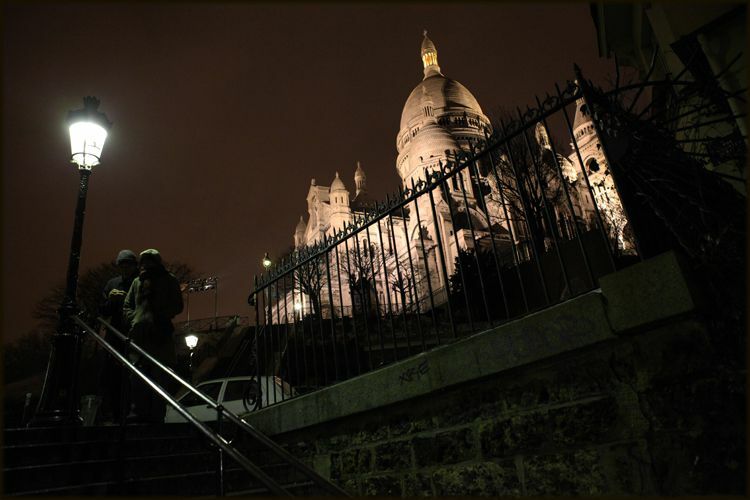 In the background, the Sacre Coeur is illuminated. Date Uploaded: Aug. 3, 2010, 10:31 a.m.